You get a novice-friendly interface that can be made to compliment your station's website. Your members spend their points in your online Points Store–on prizes that they want. Entering codes heard on air is one way for members to earn points. Points are automatically assigned to the member for matching answers. A message manager allows you to easily send out announcements to all or some of your members. Surveys can be made public (for any website visitor) or private (requiring the visitor to log into the Club for a chance to earn some more points). A unique PointedOut.com Club feature is the ability to increase friendly competition among members through lifetime point levels. Each point earned by a member is one point closer to achieving that next milestone. Adding new prizes to the Points Store is simple and can be done in about a minute. The creators of the WeatherThreat.com school closings network are pleased to introduce the PointedOut.com Rewards Club–an online listener club that is 100% points-based. Through the Club, members earn points by listening to your station, showing up at remotes, filling out surveys, visiting your website, having birthdays, signing up for promotions, and even just signing in to their accounts every day. Members spend their points at the online “Points Store”, when they want, how they want, and on the prizes that THEY want . Why use a points-based Rewards Club? 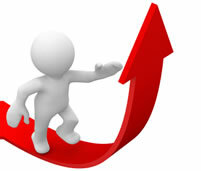 Daily incentives create repeat website traffic, adding value to your online advertising. On-air incentives ensure your P1/P2 listeners stay tuned to your station. Points drive listeners to remotes, making your advertisers very happy. Members provide detailed demographics through surveys, keeping your messages targeted to your listeners. Sponsorships increase revenue; revenue makes Corporate happy. Q: How long does it take to get setup and running? A: We can have you setup within a day or two. A: There usually is no contract period, unless you want one. Q: I mean the actual length of the contract itself? Q: Where do we get the prizes? A: Most prizes should come from your advertisers. Q: Is it hard to maintain? A: The interface is very novice friendly. Q: What about inventory control? A: You set the quantity and dates and let the system worry about inventory. Q: Who awards the points? A: Points are automatically awarded to members based on your parameters. Contact us by the end of April to get an additional month free!